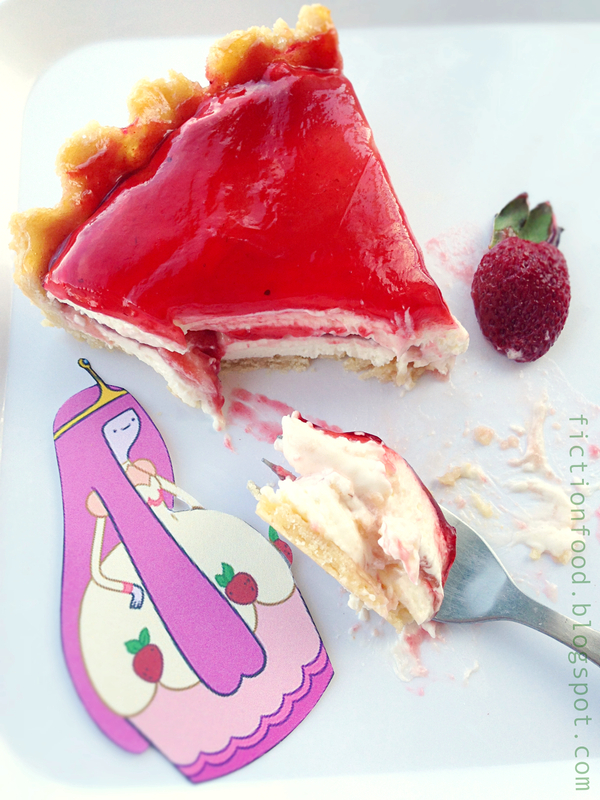 In the "Adventure Time" episode "The Other Tarts" (s. 2., ep. 9) Princess Bubblegum entrusts Finn and Jake with the job of toting her precious, perfect royal tarts to the sacred, annual back-rubbing ceremony located in the Bad Lands. Finn is never one for the easy path, or even the path that makes the most sense, so he devises a well-intentioned, harder-than-it-needs-to-be plan that totally ends up going bazonkers. Poor Finn. 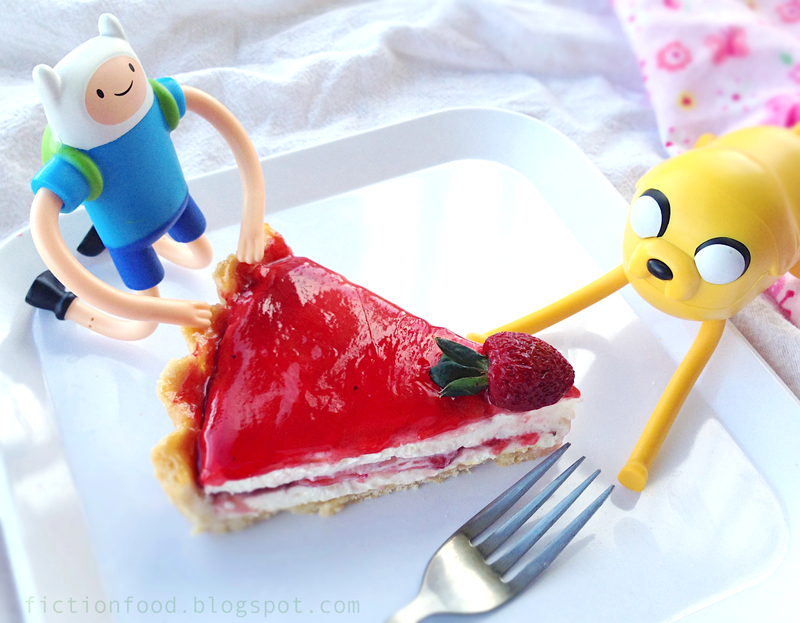 But not to worry, PB got her tarts in the end. Important to note is that the tart recipe below does not contain paralyzing potion. And remember, if the (ex) Tart Toter arrives while you're eating this, stay perfectly still until he decides to move on (Tart Toter's soliloquy here). 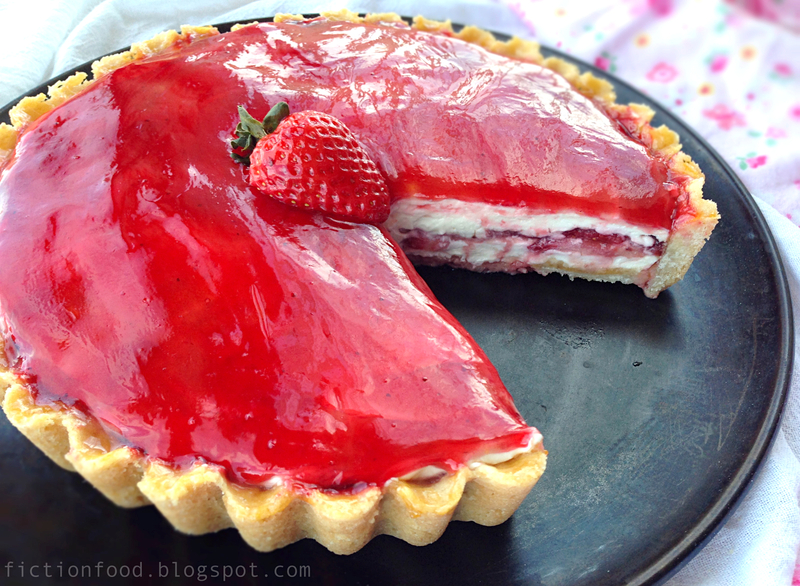 Note: You can use canned strawberry pie filling for this recipe, but fresh strawberries are great & lay nicely in the tart's middle. 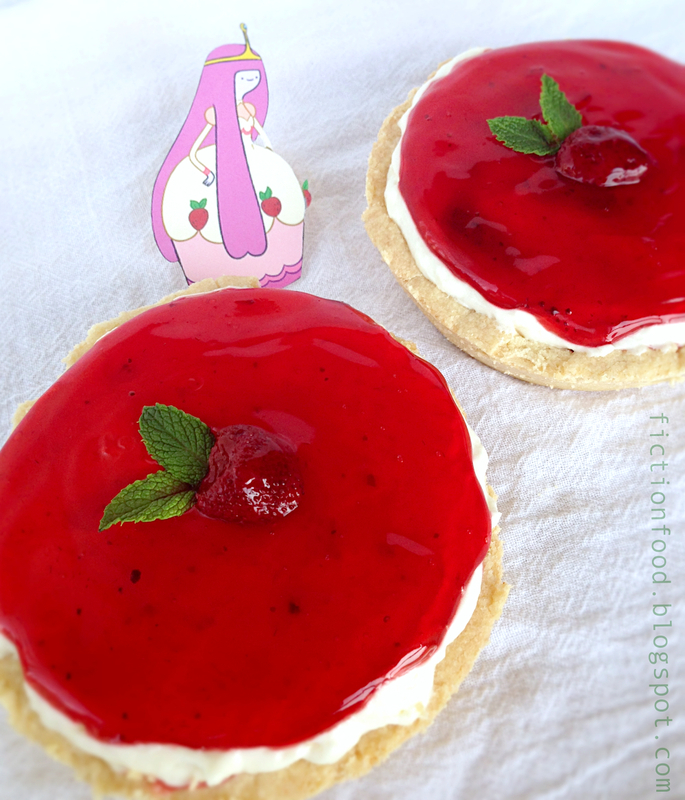 Because of a glaze issue, I ended up using fresh strawberries plus the glaze from a can of strawberry filling. Feel free to go total can or fresh strawberries plus can glaze or the separate container of glaze that's usually located next to the fresh strawberries in the grocery store. Also, you can use this recipe to make smaller tarts (see mine farther down), but the larger size is more conducive to the layered filling. 1. In a large bowl mix the cream cheese & lemon juice until completely creamy. Add in the sifted powdered sugar & beat until the mixture is smooth. Using a spatula, fold in the whipped cream until the mixture is all combined. Spoon about half of the cream cheese mixture into the completely cooled, pre-baked tart crust & smooth out evenly (I recommend brushing heated & strained apricot jam on the crust in order to seal it before adding the filling). 2. Reserve several of the smaller strawberries for decoration later. Cut off the tops of the rest of the strawberries & then slice the 'berries up. 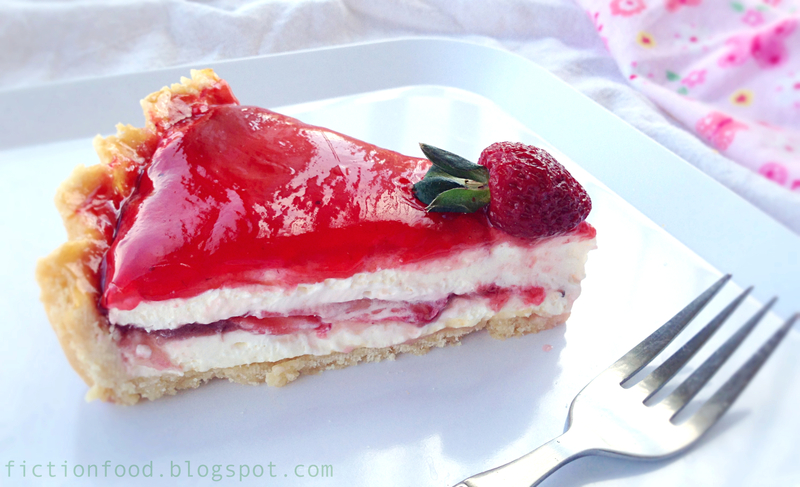 Lay the slices on top of the cream mixture, in a single layer, covering the cream completely. Next, spread a thin layer of strawberry glaze on top of the strawberry slices (a silicone food brush works well for this). Spoon on the rest of the cream cheese mixture, smoothing it out carefully so as not to disturb too much the glaze & strawberries below. Put the tart in the freezer for about 10 - 15 mins. to solidify it somewhat before the next step. 3. Remove from freezer & spread on enough strawberry glaze (glaze only!) 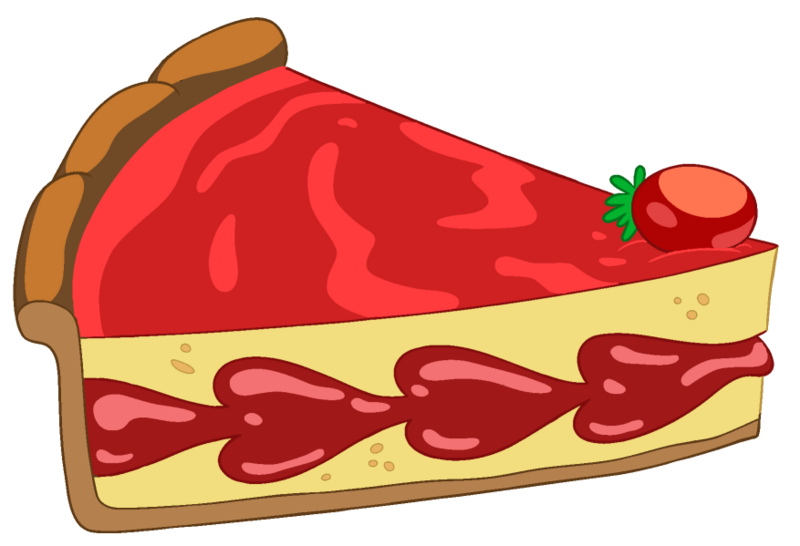 to get a nice, deep & bright red color, making sure to spread up to the edges of the crust. 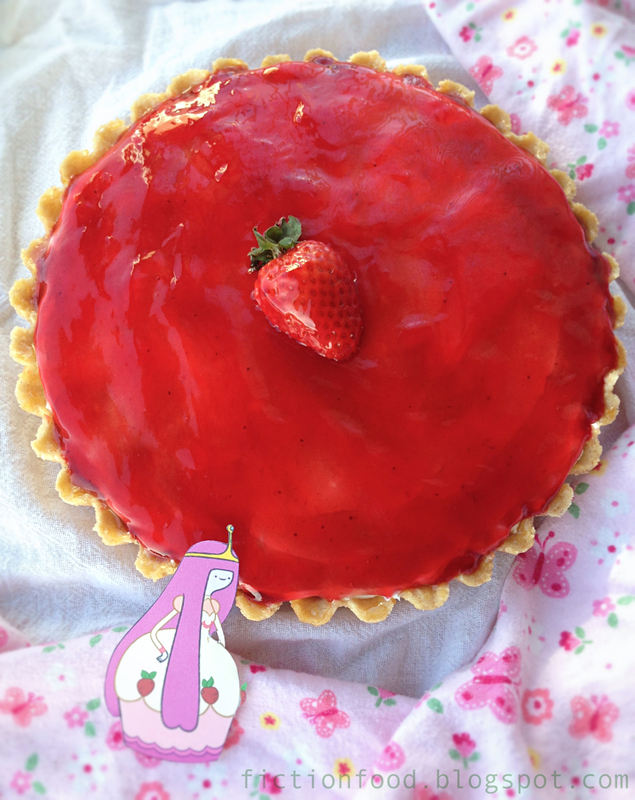 Cut a small-medium strawberry in half length-wise & place it on top of the tart, in the center (no need to cut if using a strawberry from the can) & then brush it with a little bit of glaze to make it shiny. 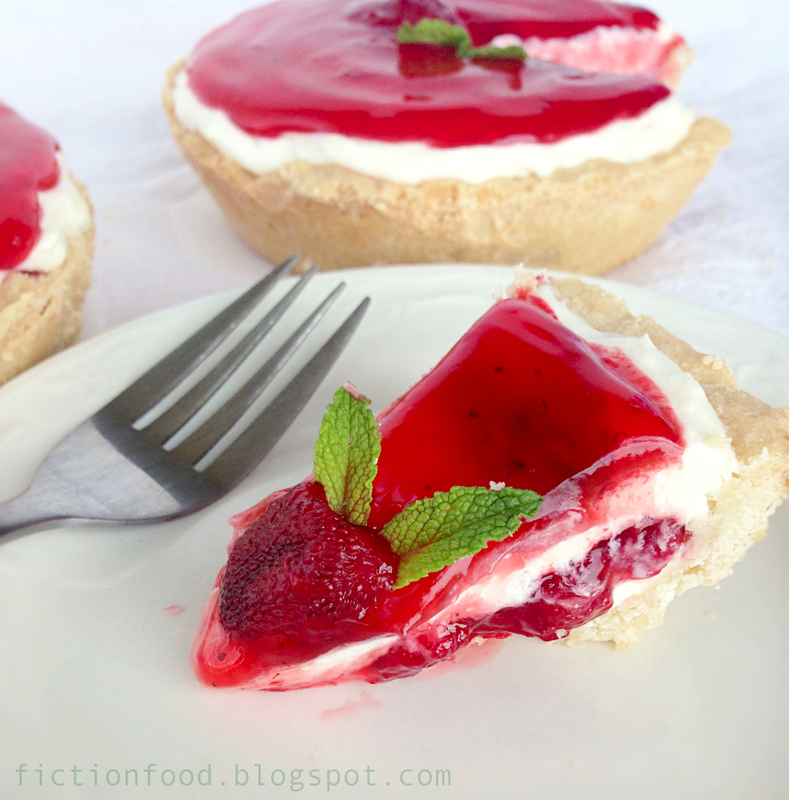 If you're using a canned strawberry, place two, small, fresh mint leaves at its top. 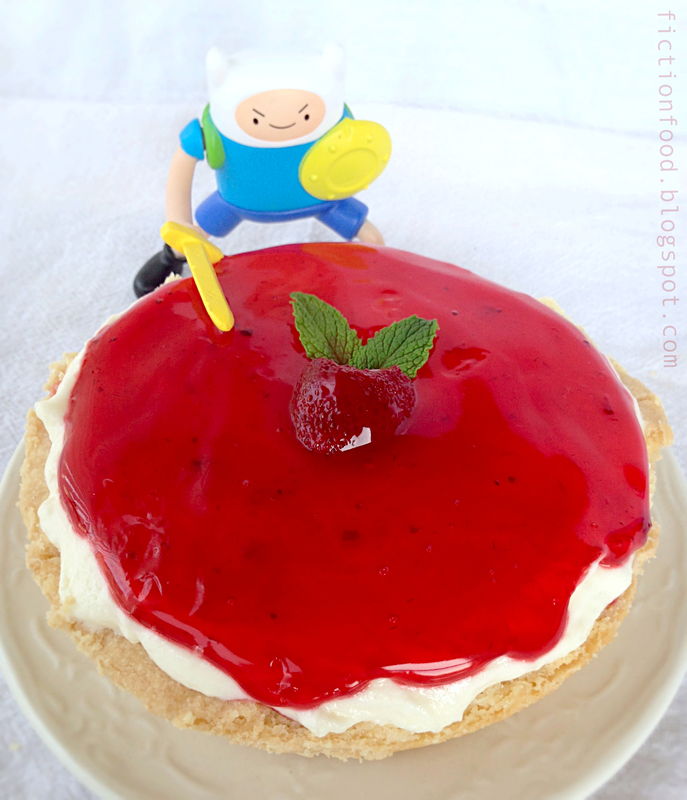 You can do this with a fresh strawberry too, but cut off the already existing green leaves first. Chill the completed tart in the fridge for an hour or more (great if left overnight). 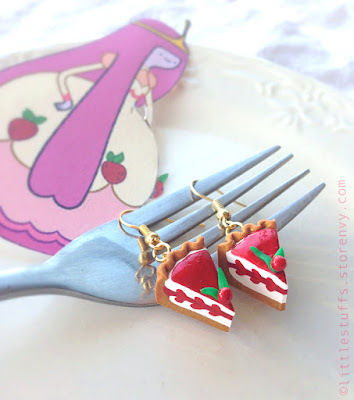 When serving individual slices, place duplicate strawberry decorations on each piece, leaves facing crust-ward. What brand of strawberry glaze did you use? The container of straight up glaze I initially tried to use may have been Marie's brand, but I can't remember as it's been so long. The glaze from the canned strawberry pie filling that I did end up using, along with fresh strawberries, was probably Comstock brand, though again, it was so long ago, I'm not 100% sure. Hi! I want to make a couple of these tarts for a wedding. Can I make them ahead of time and freeze the you think? I haven't tried it, but it is possible to freeze cheesecakes and the like. Wrap the UN-glazed tart in plastic and freeze it, and then, the day you'd like to serve it, let it thaw in the fridge, unwrapped, for a couple of hours. Put the glaze on the top just before serving.